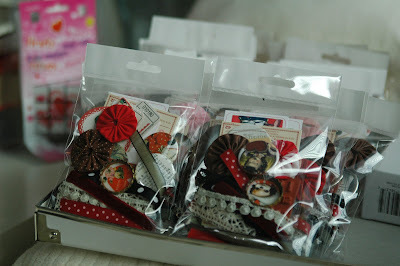 Embellies baggies from the Love You art journal (sold out now - thank you!). So pretty! I'm so lucky for getting to see these cuties in a big grouping before they get packaged inside their bubble mailers for shipping:). I'm not the only one who can't get her hands off them. 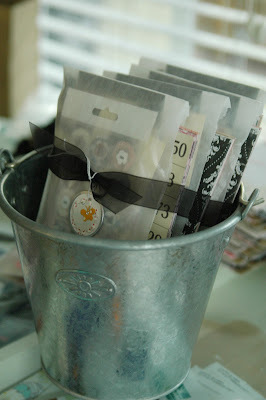 The Valentines Embellishments Kit packaged all pretty in glassine envelopes and tied with a black organza ribbon and adorned with a tag. Sitting all pretty in a metal pail before going to their rightful owners:). 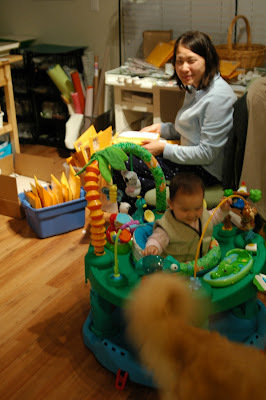 The family kept me company on Monday as I packaged orders. So happy that orders placed on Friday/weekend/Monday were all shipped on Monday evening. 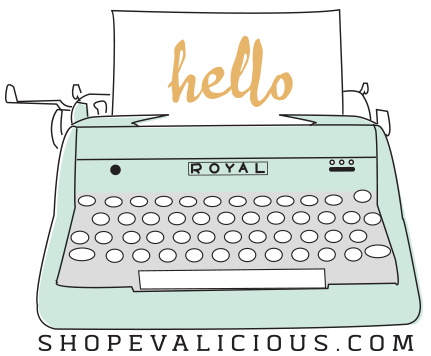 You should be getting your packages pretty soon! If you missed out on the new mini art journal and would still like one, I can help turn the Valentines Embellies Kit into a journal kit for an extra $6 (includes extra materials, work and $2 extra shipping). Just purchase the Embellies kit and email me so I can invoice you the extra $6. But hurry bc there's only a few more of the embellies kit left. Thank you so so much again for your support!! 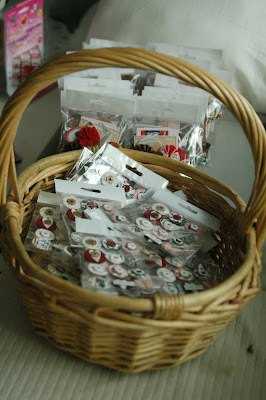 Happily tidying up craft studio now & purging some more so I can make more goodies:). Really need to make room for a playpen down here for munchkin too. Eve it looks amazing!! can't wait to have them!! wow!! I am so excited;) have a wonderful day!! 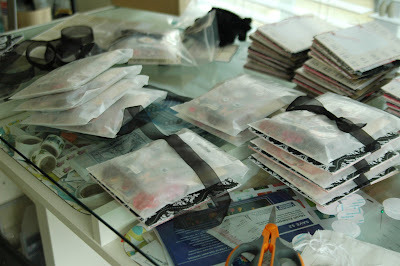 They look too YUMMY all packed up! !